If you compare your value propositions (VPs) with those of your competitors’, your USP results from the non-existent intersection, which is what the others do not provide or offer (the balance of your VP Competition Matrix). Your USP can also be a combination of multiple VPs. Even those that contradict each other at first glance: high quality, short production times and 50% cost savings. It is worth to look for the "Thunderbolt" - the promising contradiction in the list of your VPs. Just this contradiction may make you stand out from existing offers in the market. 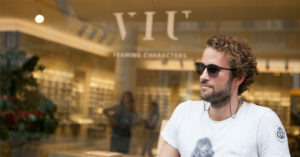 The startup VIU also knows how to set new trends with Thunderbolts in the Red Ocean of eyewear providers. With their self-designed glasses, the brains behind VIU have discovered a niche. The models are fair produced, beautiful - and above all, cheap. Thunderbolt 1: "Swiss Design - Made in Italy" instead of the conventional, reverse combination "Swiss-Made from Italian Design". Thunderbolt 2: Nice and fair produced versus cheap. With your USP you have arrived in the heart chamber of the Startup Navigator. Your unique selling point defines the Product Market Fit, which can be easily tested in the Startup Cockpit with customer recommendations, for example with the Net Promoter Score. The eureka moment has arrived: Your products are accepted by the market. Learn more about the tenth module "Unique Selling Proposition" of the Startup Navigator in our handbook.